Corruption is a sensitive issue in the NGO world. Humanitarian actors need to understand what corruption is, recognise the forms it can take in humanitarian response, determine its true scale and better understand the conditions which lead to it. They also need to identify what mechanisms need to be put in place or strengthened to guard against corruption, even in the most difficult contexts. Mitigating against corruption is necessary if NGOs are to achieve both operational efficiency and accountability to their stakeholders. However, it is also important to recognise that adopting a proactive and transparent approach to dealing with corruption may involve short-term risks to an NGO’s reputation. Transparency International (TI) defines corruption as ‘the abuse of power or position for private gain’. This covers ‘active corruption’, such as bribery, and ‘passive corruption’, or allowing oneself to be bribed, as well as misappropriation. The exact scale of the problem in the humanitarian aid sector is by its nature very difficult to determine, but is assumed to be at much lower levels than corruption in the private commercial sector. Another model of corruption takes into account the sources from which these risks emanate. ‘Contextual’ corruption is linked to the environment surrounding the intervention (corrupt regimes, governments, police forces). ‘Systemic’ corruption refers to the humanitarian system, with its multiple, interacting and interdependent actors. ‘Intra-organisational’ corruption is linked to the constraints inherent within each NGO (human resources, active prevention strategies against corruption risks, verification procedures). This more operational model can help in prioritising and identifying NGOs’ scope of action in light of these risks. Thus, while NGOs have little hope of eradicating contextual corruption, they can and should take steps to prevent or address corruption within their own organisations. A number of factors which can lead to corruption in humanitarian operations have also been identified. These include lack of planning (or even the impossibility of planning), the number of humanitarian actors present and the financial resources at stake. The way in which the international humanitarian system has developed in recent years, including the exponential growth in the number of NGOs and the development of the humanitarian ‘industry’, has also been a contributing factor. Finally, we should not forget that corruption exists in developed countries, as well as developing ones. Corruption and humanitarian aid: new dilemmas? The number of NGOs has grown exponentially over the last 20 years, as has the scale of resources available. In 2010, it was estimated that humanitarian spending reached just shy of $17 billion. Some NGOs have become transnational, with very large budgets. One American NGO, World Vision International, has a budget topping $2.6bn. NGOs are often reluctant to talk about corruption for fear that it will lead to bad publicity and, consequently, a loss of funding. Working across borders to reach people in need can also give rise to allegations of corruption. The degree of confidentiality necessary to negotiate with those who control access can sometimes make transparency difficult to achieve. Moving clandestinely across borders to access affected populations, as NGOs have done over the years in many conflict situations, can also raise questions about the legitimacy and legality of such action. During the Afghan war in the 1980s, for instance, the Soviet-allied government in Kabul did not want humanitarian actors in Afghanistan, particularly in areas controlled by resistance factions. In this context, humanitarian NGOs had no choice but to cross the Pakistan–Afghanistan border illegally (without permission), through Peshawar and the North West Frontier Province. When humanitarian personnel were captured and held hostage by Soviet or Afghan forces, NGOs argued that the illegality of their actions did not decrease their legitimacy. Humanitarian organisations cannot ignore the possible consequences of paying bribes or illegal taxes, especially in armed conflicts. Choosing to pay an illegal tax or bribe (in cash or in kind) when confronted by armed guards at a checkpoint may enable the organisation to access people in need, but can be misinterpreted as corruption. Choosing not to pay can mean that humanitarian needs go unmet and that lives may be lost or the risk of harm increased for NGO staff. NGOs must widen the scope of risk assessment to consider whether their programmes are vulnerable to corruption, such as theft or misappropriation of funds or in-kind goods by warring parties, real or perceived inequities in the distribution of aid and sexual abuse and exploitation of beneficiaries by agency or partner staff. While every situation is different, in all cases NGOs have to balance their commitment to humanitarian principles with the need to control the risk of corruption so as to be truly accountable to their beneficiaries and donors. They should also be transparent with stakeholders about these challenges, and how they may affect decisions about whether or not to continue their work. Some NGOs, particularly in Nordic countries, have chosen to publicise the results of corruption cases as well as the anti-corruption policies that they have implemented. For example, DanChurchAid (DCA) has a website page detailing corruption cases within the organisation and how they were dealt with. Despite the financial crisis that began in 2008, DCA increased its 2009 budget to 498 million DKK (about $123m), a third of which came from private donors (the same proportion as in 2008). Being transparent about corruption does not appear to have negatively affected donor perceptions of DCA. Nonetheless, many NGOs believe that reporting cases of corruption is a major risk with potentially irreversible consequences for humanitarian organisations and their activities. They fear that such cases can undermine their credibility and reputation (particularly with the media), as well as discouraging public and private donations. In France, the Prometheus Foundation, a group of the largest French private companies, including oil, health insurance and pharmaceutical firms, has issued an ‘NGO Transparency Barometer’. The methodology, based only on available public data from NGOs’ websites, has been openly criticised by Coordination Sud, the French NGO forum. To open up the debate on corruption and to promote preventive measures, Médecins du Monde (MDM) led a study in 2008 which aimed to interview the 17 largest French NGOs regarding their perceptions of corruption, their approaches to field work and appraising and managing risks, and the procedures they had in place to minimise and prevent such risks. Surprisingly, 11 of the 17 NGOs contacted refused to participate in this (strictly confidential) study. Among NGOs that agreed to take part, most recognised that cases of corruption were part of the significant operational challenges around humanitarian aid. The study confirmed what TI had already demonstrated: that humanitarian operations are most vulnerable to corruption in the procurement, transport and distribution of medicines, food, building materials and other consumables, particularly in large, rapid-onset emergencies. It is also important to remember that most emergency situations occur in countries where corruption is already widespread. The great majority of agency staff questioned in the 2008 study believed that corruption was primarily contextual in origin. Over half had witnessed incidents of corruption, been offered bribes or asked to pay them or had been invited to participate in corrupt activities. NGOs need to ensure that they are well-informed about the nature and level of corruption in the countries in which they operate. This can be done by using, among other sources, Organisation for Economic Cooperation and Development (OECD) and TI reports on corruption levels. Although NGOs are unlikely to be able to address the root causes of ‘contextual’ corruption at a country level, individually or directly, by working with other NGOs and civil society it may be possible to mitigate the impact on humanitarian operations and local governance. In Bangladesh, for instance, 66.7% of households experienced some form of corruption when trying to access public services. Forty-eight percent of those interviewed encountered corruption in the health service, primarily bribery and nepotism. The most obvious examples were doctors charging for prescriptions and referring patients to their private clinics, and patients having to pay extra fees for tests in government hospitals. Community action at field level resulted in the creation of Committees of Concerned Citizens (CCCs), which acted as watchdogs on local governance and attitudes in both the education and health sectors. This led to dramatic improvements in the quality of care, and significantly reduced bribery, nepotism and negligence. At the international level, TI has just finalised a practical guide to identifying the weak links in the humanitarian response system in order to improve awareness and as far as possible prevent corrupt practices. The guide also devotes significant attention to how to monitor and evaluate anti-corruption measures. Several NGOs, notably from English-speaking countries, participated in the development of this document, which is more technical than political. In 1997, the Ethics and Transparency Committee of Coordination Sud drafted a charter of good practice. Most large French NGOs are members of the Comité de la Charte, an independent organisation whose aim is to promote financial transparency. NGOs belonging to the committee are required to have their activities (financial and operational) audited each year by a certified auditor. NGO programmes and accounts are also subject to various external audits (several per year) commissioned by donors including EUROPAID and ECHO, as well as by the Cour des Comptes (the government audit office). In addition, most French NGOs have established internal control mechanisms which enable information from the field to be verified and cross-checked. One of the lessons of the MDM study, which has also been confirmed by TI, is that it is extremely important for field teams to have appropriate and clearly defined intervention strategies, good knowledge of the field context and training on how to identify and reduce the risks of corruption, particularly operational risk factors associated with the procurement, transport, storage and distribution of relief goods. As a complex global phenomenon with significant local consequences, corruption is a critical aspect of humanitarian thinking and action. Good governance and transparency are at the heart of NGO legitimacy. NGOs must work with Transparency International, the OECD and other institutional partners and private donors in order to fight corruption effectively. Strengthening community involvement in the implementation and evaluation of humanitarian (and development) programmes improves the ‘acceptance’ of NGOs by the beneficiary population and helps to mitigate against corruption and promote better local governance. We need an open debate on the risks of corruption and how to address them, without undermining donor funding to and beneficiary confidence in NGOs. As well as strictly operational considerations, corruption constitutes an important ethical and political challenge for humanitarian NGOs. Jérôme Larché is a medical doctor, Associate Researcher at the Fondation pour la Recherche Stratégique and Delegate Director of Grotius International. He is a former board member of Médecins du Monde-France. Transparency International, Global Corruption Report, 2006. Nicholas Stockton, Preventing Corruption in Humanitarian Relief Response, ADB/OECD Anti-Corruption Initiative for Asia and the Pacific, September 2005, http://www.oecd.org/dataoecd/63/49/35592702.pdf. Daniel Maxwell et al., Preventing Corruption in Humanitarian Assistance: Final Research Report, Feinstein International Center, Humanitarian Policy Group and TI, 2008. Development Initiatives, GHA Report 2011, http://www.globalhumanitarianassistance.org. MDM in partnership with Sciences-Po Paris, Analyse de la corruption dans le secteur de l’aide humanitaire et perspectives, 2008. The 17 NGOs approached account for more than 80% of French humanitarian aid. See Preventing Corruption in Humanitarian Assistance. Michael Sheridan, ‘Massive Fraud Hits Tsunami Aid’, Times Online, http://www.timesonline.co.uk/tol/news/world/article706115.ece. C. Knox, ‘Dealing with Sectoral Corruption in Bangladesh: Developing Citizen Involvement’, Public Administration and Development, 29, 2009. TI, Preventing Corruption in Humanitarian Operations, 2010. Otages : quelles leçons possibles? La libération récente des journalistes Hervé Ghesquière et Stéphane Taponnier, otages depuis 18 mois en Afghanistan, est un soulagement réel pour leurs familles, pour les autorités françaises, mais aussi pour de nombreux français qui, jour après jour, suivait le compteur affiché par leur confrères. Cette libération ne doit pas faire oublier que neuf autres français restent retenus en captivité, dans des conditions quasi-inconnues, que ce soit en Somalie, au Yemen et Niger. Hormis leur nationalité française, les statuts de ces otages, comme les circonstances de leur enlèvement, sont bien différents. Peut-on ainsi comparer les situations de l’agent de la DGSE enlevé en Somalie à celui des quatre français d’AREVA enlevés au Niger, ou à celle des trois humanitaires de l’ONG Triangle Génération Humanitaire enlevés au Yemen ? Probablement pas, car les motivations et les objectifs (politiques et/ou financiers) des ravisseurs ne sont pas les mêmes. On peut toutefois établir un certain nombre de constats. Tout d’abord, il s’agit d’une véritable situation de crise, quelque soit l’institution concernée (gouvernement, entreprise, ONG), qui va remettre en question des modalités opérationnelles antérieures, voire faire stopper des activités jugées jusque là essentielles. Ensuite, la gestion de crise est un processus multiforme et de longue haleine, qui va éventuellement nécessiter la participation de « spécialistes » de la négociation qui, même si la médiatisation de certains otages a pu paraître bénéfique, travaillent dans la discrétion. Si une prise d’otage(s) n’est jamais neutre, la façon dont celles-ci sont traitées sur le plan médiatique ne l’est pas non plus. Les journalistes ont fait le choix clair de médiatiser les situations qui touchent leurs confrères. Cette attitude n’est pas nouvelle, si l’on se rappelle des enlèvements dans les années 80 en Afghanistan. Les militaires et les agences gouvernementales font le choix de la discrétion, choix logique par rapport à leur « culture », mais aussi peut-être parce que les enjeux politiques et opérationnels sont différents. Contrairement aux enlèvements d’humanitaires médiatisés en Afghanistan il y a quelques décennies (celui du Dr Augoyard, par exemple), les responsables d’ONG humanitaires préfèrent aujourd’hui le « profil bas » et privilégient la discrétion des négociations, activant aussi leurs réseaux locaux pour obtenir des informations. 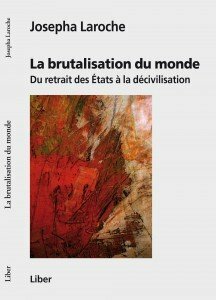 De plus, des prises d’otage de journalistes ou d’humanitaires, ne peuvent être le prétexte à une remise en question du droit d’information ou du droit d’initiative humanitaire sur des terrains de conflits qui, par définition, sont des terrains dangereux. L’analyse préalable – et approfondie – des enjeux de sécurité et la connaissance des déterminants locaux d’une possible insécurité restent bien sûr indispensables, mais ne peuvent à eux seuls interdire toute action. Sur un plan plus tactique, des critiques ouvertes sur le comportement de tel ou tel, alors qu’il est captif, comporte des risques objectifs de rendre encore plus difficile les négociations en cours. Toujours est-il que la gestion médiatique des prises d’otages nécessite beaucoup de retenue, tant les inconnues sont nombreuses, et la tentation de leur instrumentalisation politique, abandonnée. Enfin, il ne faut pas oublier qu’il y a souvent des otages d’autres nationalités impliqués avec des otages français (comme le togolais et le malgache enlevés à Arlit au Niger, et relâchés depuis). Une prise d’otage constitue donc un événement extrêmement déstructurant, à l’image d’une onde qui se propage en cercles concentriques de plus en plus larges, même si l’impact le plus fort atteint en premier lieu les victimes et leur entourage proche. A l’issue d’une telle crise, des édifices solides peuvent se renforcer, mais aussi se fissurer et parfois s’écrouler. « Trois travailleurs humanitaires français, deux femmes, âgées de 26 et 29 ans et un homme de 32 ans, ont disparus samedi dans la province yéménite méridionale d’Hadramout, a annoncé un responsable de la sécurité locale. Ils ont été kidnappés lors d’un déplacement dans la ville de Sayoun. Ces Français étaient présent sur place depuis le mois de mars et font partie de l’organisation Triangle Génération Humanitaire. Le Quai d’Orsay, qui a confirmé l’information, est mobilisé au centre de crise à Paris, comme à son ambassade à Sanaa, la capitale yéménite. Les forces de sécurité se sont lancées à la poursuite des ravisseurs des trois Français, qui ont été kidnappés après avoir quitté un restaurant, a ajouté le responsable yéménite. Les autorités françaises mettent tout oeuvre pour retrouver ces personnes, a-t-il ajouté.